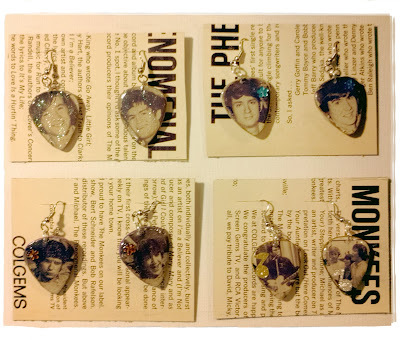 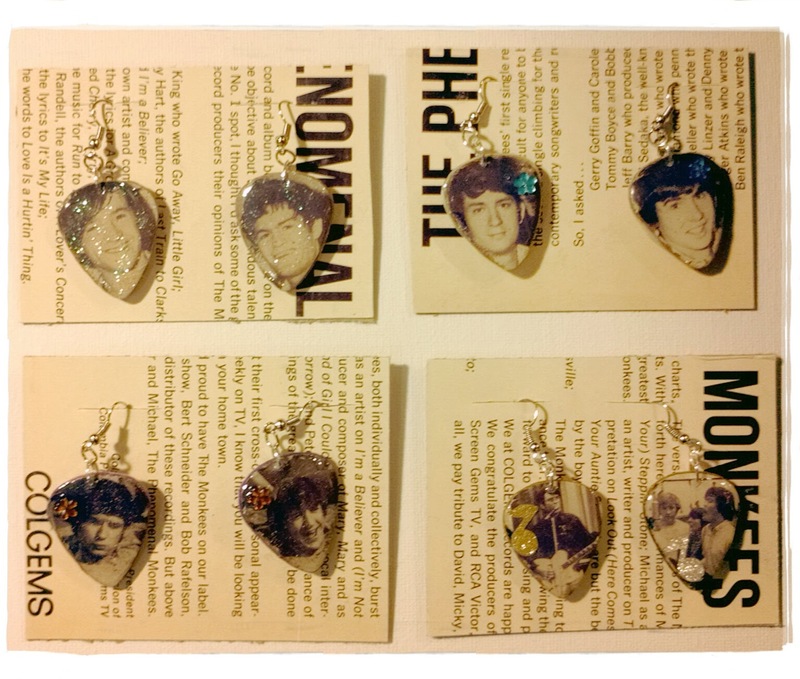 6 Pairs of Monkees Guitar Pick Earrings! 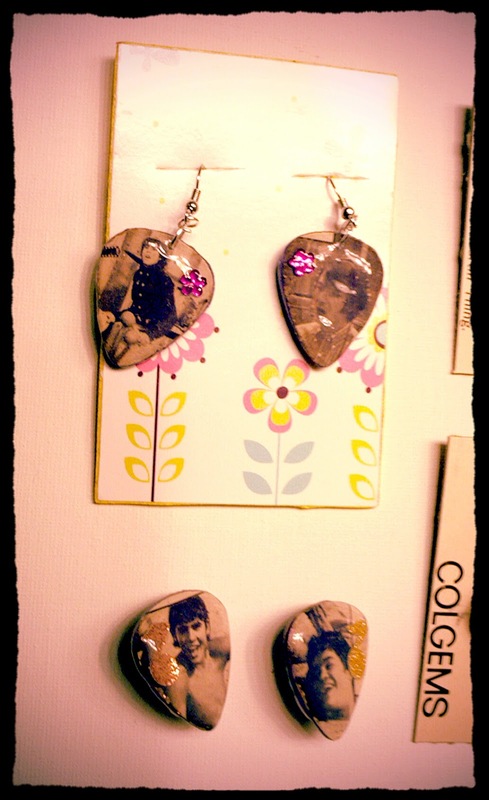 Bottom left pair are clip on earrings. 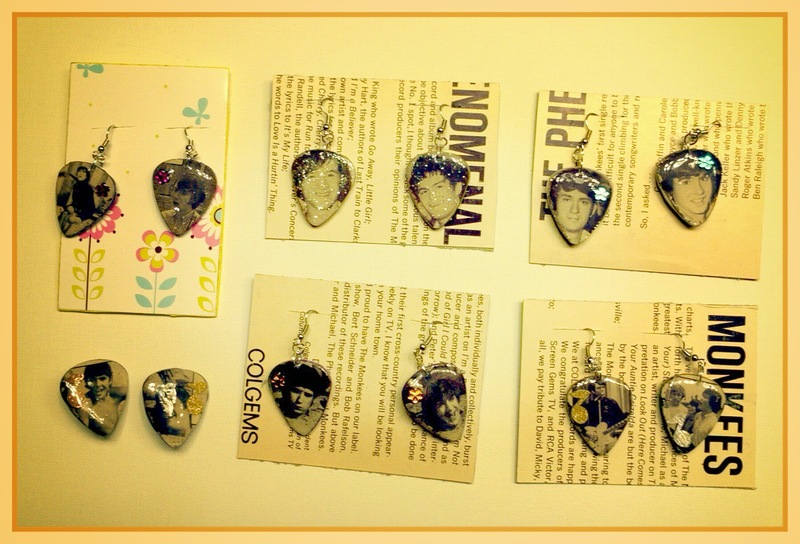 from "More of The Monkees." flower gems and are sealed with epoxy resin and Mod Podge. Monkees Guitar Pick Earrings from Becca Jones-Starr on Vimeo.